Would you like your writing — prose and/or poetry — to be more graceful, powerful, beautiful? Do you sometimes find poetry confusing or intimidating and wish you could “crack the code”? Or do you enjoy writing and reading poems, but want a more thorough understanding of what makes a poem good? Then this poetry extravaganza is for you. Expect a good time exploring what makes a poem a poem, gaining the knowledge you need to confidently create and revise poetry, and strengthening your writing skills in all genres. 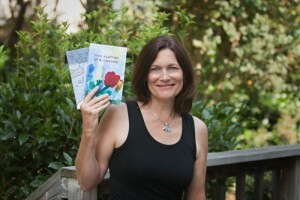 It would be a joy and an honor to share what rocks about poetry with you! WHERE: From the comfort of your own home, via the web. WHEN: Any time you want! And once you receive all 23 tools, they’re yours to keep, which means that you can keep using them for years to come. TO REGISTER: To register for Poetry Rocks online, click here. Or email info@wordplaynow.com for details on registering by check via mail. “Thank you so much for offering so much of yourself, your wisdom and what you’ve gathered from a lifetime of reading and writing. It’s a well of inspiration and resources that’s overflowing, and I know that I will continue to drink from it for many, many years. It’s all been so wonderful — and I know it will continue to be — but what stands out for me are your poems and your voice when you read your poetry. It’s helped me so much to read my writing out loud — in your voice — it changes everything! So for letting me hear your voice in my head, for the gift of reading poetry every day and asking “how does she/he do this?”, for filling my tool box with a lifetime of just-the-right-tool (my husband says you can do any job if you have the right tool), and for being a writer whose work bubbles over with words that remind me of this great gift of humanness — thank you!